Life-changing, repurposed, new and nearly-new medical supplies and equipment bring hope and healing to children and families in the poorest communities of the world. Fill out inquiry form below. Every dollar you give will ship 22 TIMES the value of medical equipment. Help children and families by paying for the shipping costs. Contact Hope and Healing International at 1.800.567.2264 ext 402 or gik@hopeandhealing.org. 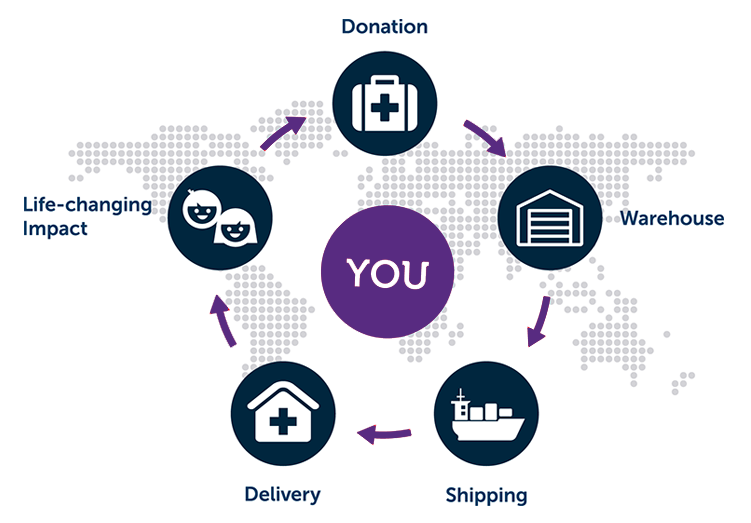 Your life-changing goods will be shipped to children and families in need. Eligible donations will be issued a tax receipt upon request. We accept new and ‘nearly new’ medical equipment and supplies in good working condition. Quality medical supplies and equipment can have a second life – bringing hope and healing to someone living in poverty with disability. Please fill out the inquiry form below and we’ll be in touch as soon as possible. Please upload a photo of your donation.